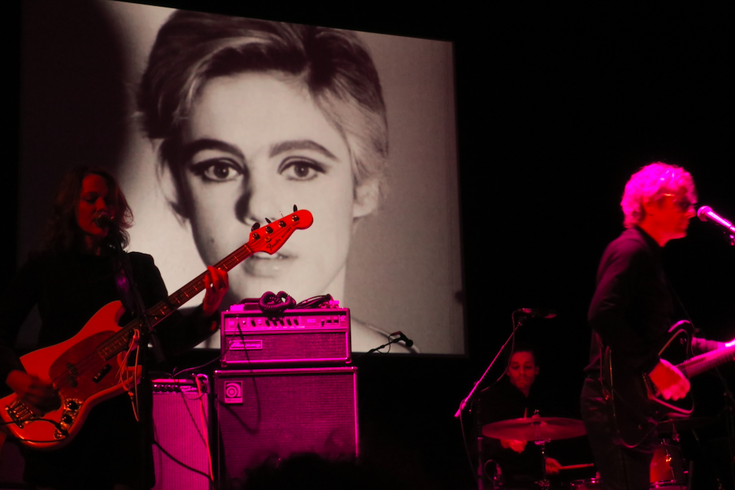 Dean Wareham & Britta Phillips perform at the Gershman Y on Thursday, Dec. 15, 2016. 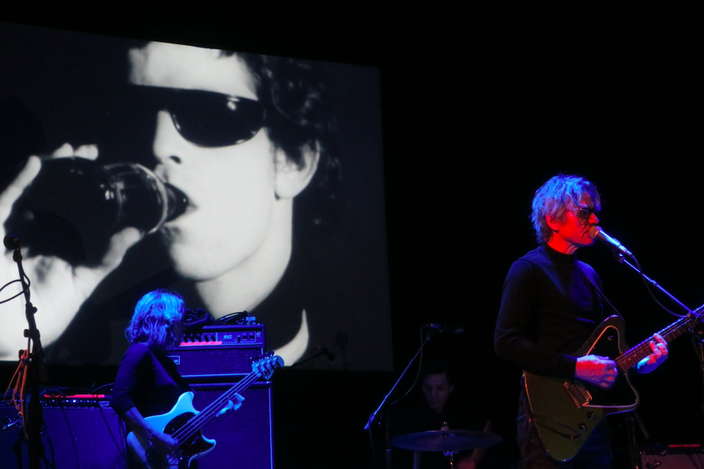 Fifty years ago, this month, Andy Warhol brought his "Exploding Plastic Inevitable" – a multimedia “happening,” featuring a live soundtrack by the then – very unknown – Velvet Underground to Philadelphia. It happened for two nights at what is now the Gershman Y (then the YMHA) – a landmark event – if not for the avant-garde art and music scenes, in general, then certainly for Philly’s intersection with them. In commemoration, last week, several of the band’s famously numerous musical and spiritual descendants returned to the very same, beautifully preserved ballroom to pay tribute to the twin legacies of Warhol and the Velvets. The film's simple, single-shot black-and-white portraits of beautiful people contained those both ordinary and extraordinary, with Edie Sedgwick and Dennis Hopper among them. And Wareham and Phillips’ succinct introductory remarks told stories about each subject's life and/or (usually tragic) death. 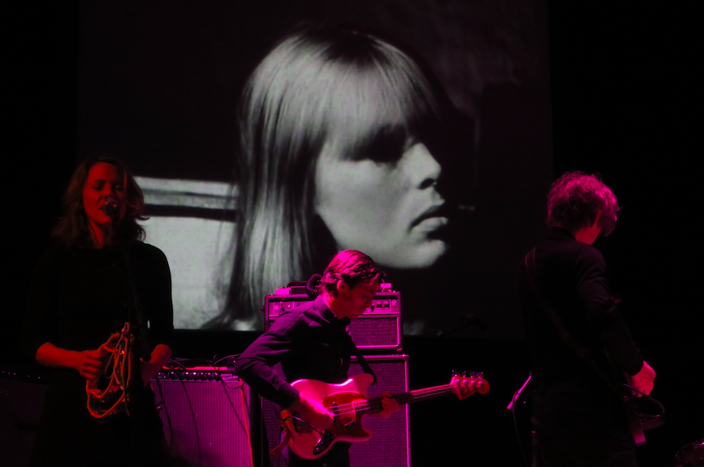 While most of the material was original, the two screen tests – featuring members of the Velvet Underground – happened to be paired with covers: a rendition of Bob Dylan’s “I’ll Keep It With Mine,” underscored Nico’s playful performance, while VU rarity, “I’m Not a Young Man Anymore,” accompanied a decidedly young-looking Lou Reed, drinking a Coca-Cola. 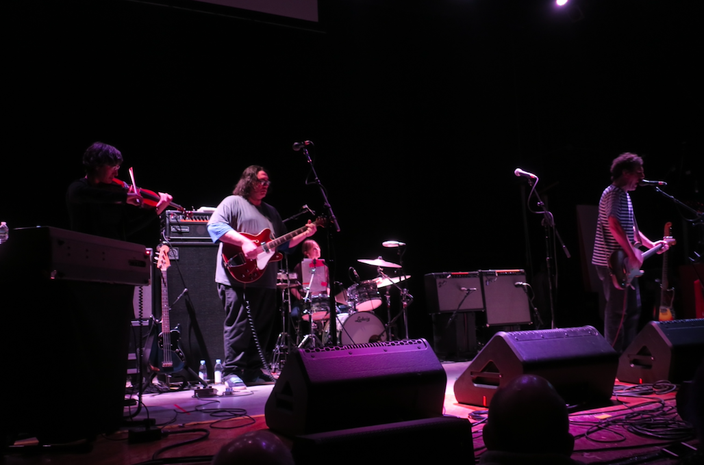 With no attempt at a career-spanning overview, no obscurities or other setlist surprises (at least, until their strangely off-the-cuff encore), and virtually no stage banter, Yo La Tengo might have been taking an experiential approach, rather than an intellectual or curatorial one. That is, they were doing their darnedest to approximate what it might have actually sounded (and felt) like to experience the Velvets during their mythic, poorly-documented ’66-’67 ascendancy – even in that room. Actually, it seems doubtful that the early Velvets really sounded this good. After all, Yo La has been playing this kind of stuff for over three decades. VU had been playing for less than two years, and I’m pretty sure Lou Reed had nothing on Ira Kaplan when it comes to manic freak-out guitar solos. What came across most strongly – and what’s easy to lose sight of after decades of familiarity with the band’s recordings – is the utter rawness; the primitive, urgent, simplicity of this music. Following the brief, tender fragility of “Femme Fatale,” the set was pretty much a nonstop onslaught of churning drones, squalling noise and pummeling, hypnotic repetition. No wonder this was scary stuff back then. Watched live, and listened to at what one has to assume is historically accurate (i.e. deafening) volume, it’s pretty damn intimidating, even now.